This is our third time at Kefalonia, and our fist time at Oskars. I wish we had come here before. The food, service and atmosphere was fantastic ! We will certainly be coming to Oskars in the future. Many thanks ! I recommend to my tour operator Thomson to go at Oskars for a dinner, is the best in Lassi ! On our next visit on kefalonia, we expect better and correct information about the island and Oskars restaurant from our tour operator, otherwise free holidays. Tack sa mycket for entrevlig kvall gun och Tommy Oskar ar bast ! You have a very friendly atmosphere, the whole family seem to be positive and happy to make your guests happy. We like your food and the rooms are nice and clean. A fantastic view specially when we watched the lighting out in the ocean yesterday evening. Many thanks to the rep that is coming from the Moon with the nickname Honest for writing this comment. I would like to ask you a question? If your manager would tell you to kill me, would you do it???? I am still a young man, and I don’t want to die! Anyway, if you give me all the information I need, I will ask for a refund for loss of profits. Contact me and you will not regret it. With this bad manager based on Kefalonia and Greek travel agent of your company, the reps and oskars restaurant are having the same problems every year. They are telling nonsense to the holidaymakers to confuse them about us. Hopefully a lot of holidaymakers are not confused. Our clients are fair, free people and not soldiers, so some bad managers and the some Greek agents can not use the holidaymakers to destroy Oskars family business. We know all about this from the information that the holidaymakers have given us. Oskars having a long history on Kefalonia since 1976. Everybody knows, also your tour operator company does. 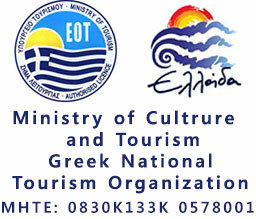 We love all the reps because we know their problems with some Greek travel agents and some Managers of tour operators. I am waiting to hear from you, do not be afraid of you manager. Thank you Mr. or Miss Honest from the Moon. Had a wonderful time at oskars. Would definitely recommed staying here. Customer service is excellent. Fantastic location, rooms are clean and generous in size. Will be staying here again. Thank you Oscar Complex we will see you next year. we recommend to old man Andrea not to work too much. We received a leaflet advertisement from Oskars Restaurant when we came to kefalonia, so we decided to try it out after going to many places around kefalonia, so off we went to Oskars and found the food and atmosphere absolutally fantastic!!! !a good to try experience, no kidding. the dancing, food, drinks and entertainment all excellent the family enjoyed them self’s emencelly and i my self for that matter so if your coming to kefalonia at all Oskars is the place for a good laugh and a most enjoyable night and an experience to boot. P.s for Oskar your restaurant is not in the center of lassi do more advertisements and your business will prosper and more people will come to Oskars. Everything at Oskars prices, food, Oskars special entertainment and the drink well it hitn me in the morning anyways…..
We have had a great night at Oskars. If you are staying in Lassi you should not miss a visit as it is a great experience.